Oliver Hazard Perry was born in 1785 in Rhode Island. He joined the US Navy as a midshipman at the age of 14 and by the age of 20, Perry was made a lieutenant. He was promoted to Master-Commandant just one month before the United States declared war on Great Britain. At the beginning of the War of 1812, Perry was sent to Erie, Pennsylvania to oversee the building of a small fleet. This fleet included the ships U.S.S Lawrence and U.S.S Niagara. On September 10th, 1813, Perry's squadron fought a British regiment commanded by Captain Robert Barclay. The British destroyed the Lawrence, so Perry took the ship's flag and sailed for the Niagara. Within 15 minutes of transferring, the British had lowered the flag and surrendered. 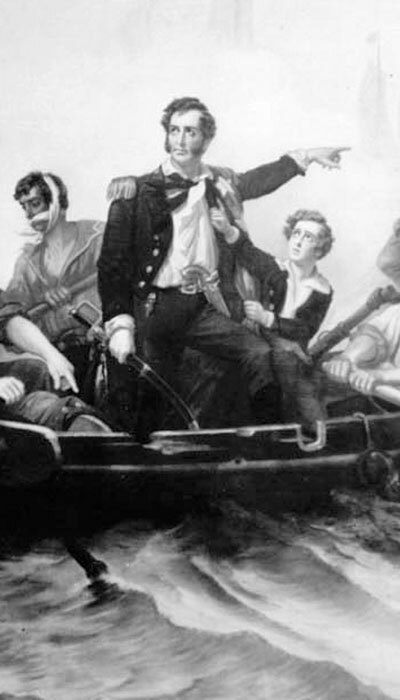 At only 28 years of age, he was praised as a national hero for his victory on Lake Erie and is known for these famous words, "We have met the enemy and they are ours." 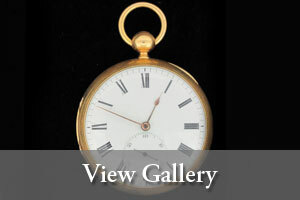 The US government presented this pocket chronometer to Commander Oliver Hazard Perry in honor of his heroic defense of the American flag on Lake Erie on September 10th, 1813. In 1819 he was made commander of the John Adams, but contracted yellow fever and died at sea on August 23rd, 1819, his 34th birthday. His remains are now in Newport, RI and a monument was erected by the state in his honor.